Mental health related calls to Law Enforcement are on the rise nationwide. The Douglas County Sheriff’s Office partners with The Douglas County Mental Health Initiative and the Castle Rock Police Department, to field two Community Response Teams (CRT). 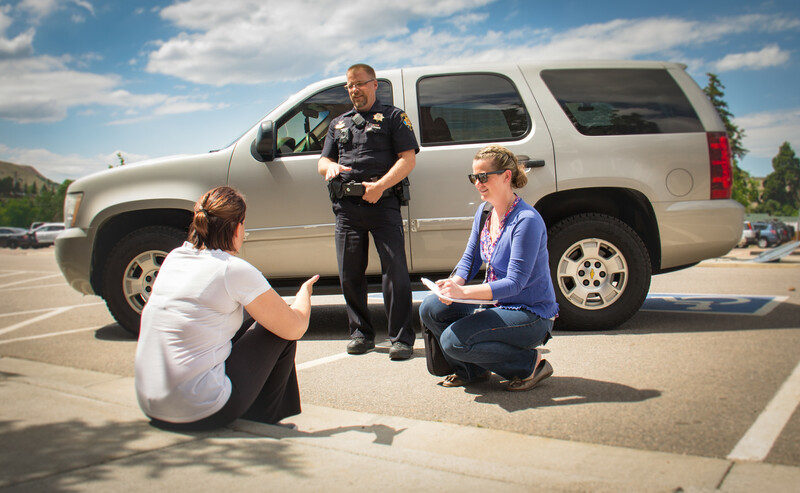 This follows a Co-Responder model that puts a Mental Health Professional in the car with a specially trained Deputy Sheriff or Police Officer. The team deploys to active suicidal subjects, welfare checks, mental health calls and non-criminal substance abuse calls. Since the CRT employs a law enforcement officer, the on-scene patrol deputies may quickly return to service to conduct traditional law enforcement duties, easing the burden of these sometimes complicated and time-consuming calls. The Mental Health Professional will conduct a crisis assessment to ascertain if the individual needs to be placed on a mental health hold, treated in place or simply connected to services. When not on active calls for service the CRT conducts referral follow-ups that have been submitted by deputies, while the team was off duty. CRT also conducts training for Law Enforcement, presents information at Mental Health events and answers general mental health questions from the public. The partnership will no doubt create a positive impact in many areas, specifically connecting people in our community with much needed resources.